The index opened down around 8162, and saw selling pressure from the onset, making newer lows with each passing hour to the lows of the day at 8126. The buyers came back around the lows, but were unable to move above the dotted line and closed at 8152.95, a small loss of 20.95 points. The broader market though was positive, with 819 advances to 723 declines. The range for the series is now at 8000-8300. 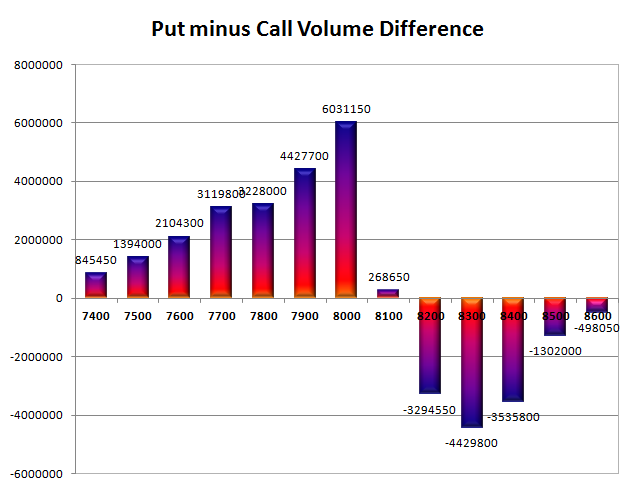 Call option 8300-8500 added huge 3.58 lacs OI with short covering seen at 8000 and below strike prices. Put option 8200-8000 added huge 9.50 lacs OI with profit booking seen at 7900 and lower strike prices. 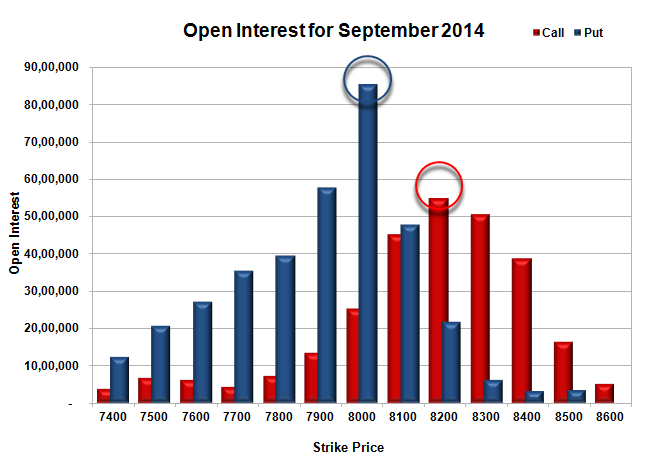 Nifty Open Interest is at 1,51,76,800 down by 6,59,950, with decrease in price, probably huge long liquidation. 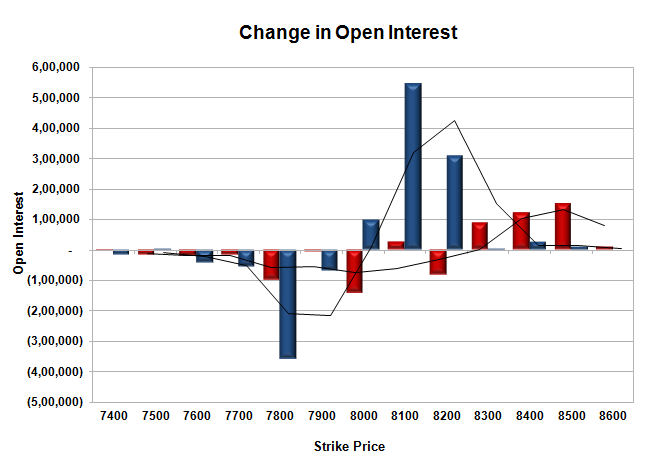 Bank Nifty Open Interest is at 18,96,750 down by 58,800, with decrease in price, probably long liquidation. FII’s sold 3.27 lacs Futures, which includes 11115 contracts long liquidation and 4578 contracts short covering, with decrease in net OI by 15693 contracts (includes 14668 longs to 21205 shorts for the day) and the average price per contract comes to around 8175.14. FII’s Index future open contract as on date is 212275 Longs to just 50812 Shorts, net long 161463 contracts. Initial support getting better at 8100, with huge OI of 47.94 lacs and below that at 8000 with highest OI of 85.56 lacs. Initial resistance at 8200, with huge OI of 54.77 lacs and above that at 8300 with OI of 50.54 lacs. Day Range as per Option Table is 8103 - 8199 and as per VIX is 8098 - 8207 with 8151 as the Pivot.